Time kills all deals. In fact, 70% of deals fall apart due to slow-downs during the late phase of contract negotiation. 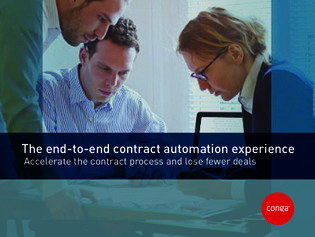 For more information on contract process automation, explore this e-book, and review how contract process automation can help transform your end of sales cycle from the place where deals die to the place where your sales reps become heroes.